Affiliate Marketing is one of the most popular ways to monetize a blog. It is one of the quickest ways for new bloggers to start to make money online in 2019. Affiliate marketing is on the rise with new and exciting trends revealing themselves. With the right affiliate marketing strategy, you can make money without having an extreme volume of traffic coming to your site. 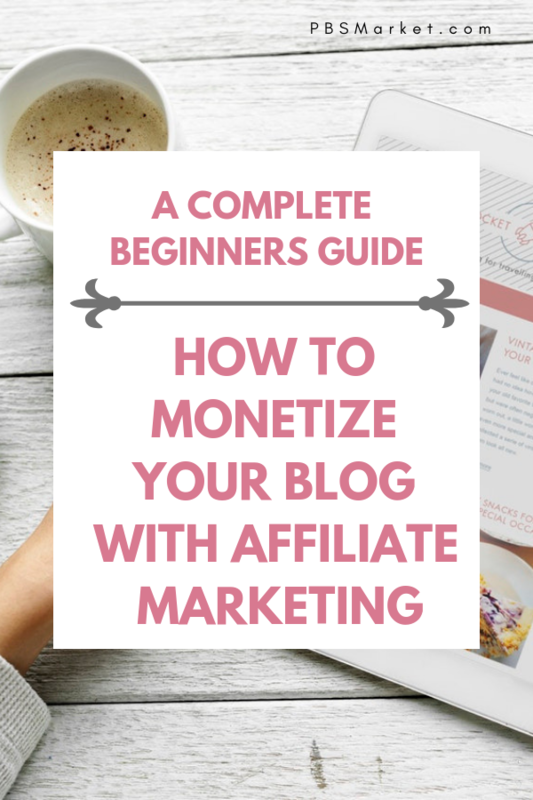 In this blog post, I’m going to tell you how to monetize your blog with affiliate marketing in 2019. Note: This page contains affiliate links, which means that if you buy something using one of the links below, I may earn a commission. I don’t know about you but I really hate it when a blog post just gives me high-level information on a topic that I am trying to learn. My goal on PBSMarket.com is to not only explain a topic but to also give you actionable steps that you can use to implement what you’ve learned. Affiliate Marketing is selling another persons or company’s product and receiving a portion of the sale as a commission. The goal of affiliate marketing is to promote other people’s products and to earn a portion of the money from each sell. The more people that you get to purchase the product, the more money you make. Affiliate Marketers are people who promote other people’s products. To become an affiliate marketer you must sign up for an affiliate program. Once accepted to the program you will be given the tools you need to market the available affiliate products. The amount of money that you can make from affiliate marketing depends totally up to you. There are affiliate marketers that make over $50,000 per month. However, there are others who barely make $50 per month. Again, this totally depends on your level of dedication to learning how to be the best at affiliate marketing. Do you need a blog for affiliate marketing? You do not need a blog for affiliate marketing. However, blogging is an excellent way to promote affiliate products. Other methods of promoting affiliate marketing products include Social Media, YouTube, and Email Marketing. The most successful affiliate marketers use a combination of these methods. 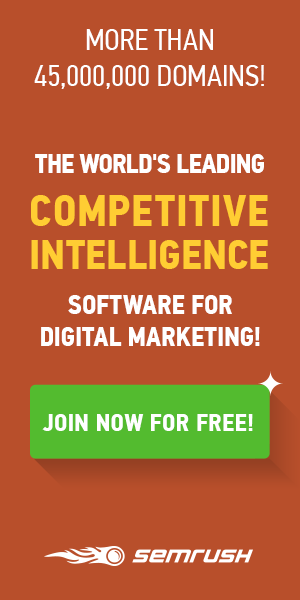 How can I learn affiliate marketing? The best way to learn affiliate marketing is to learn from those that are successful at it. This includes studying the blog posts of other bloggers and investing in training courses or other resources. One of the best ways to learn affiliate marketing is from the pros. 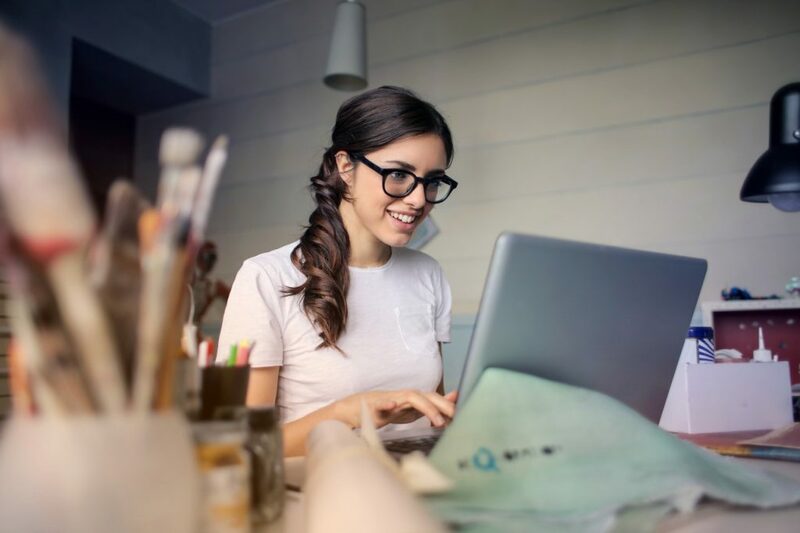 Here is a listing of Affiliate Marketing resources and courses from bloggers who are actually making full-time incomes with their blogs using affiliate marketing. 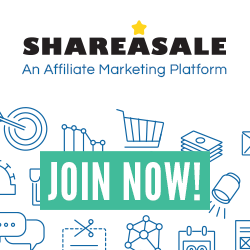 At its core, affiliate marketing consists of promoting affiliate products by getting your affiliate links in front of the right people that would want to purchase the product. There are multiple ways to accomplish this task. Write Blog Posts: This method consists of writing blog posts and including affiliate links to relevant products within your post. 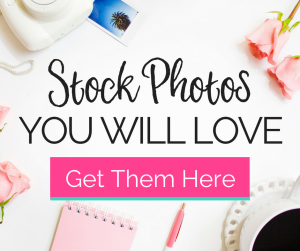 This works best when your links are incorporated into the post naturally and not is a manner where it looks like you are trying to sell a product. If you are writing a post about Awesome places to take your baby in Spring, might easily mention your favorite stroller or baby bag. In this example, you would add your affiliate links to a stroller and baby bag. If someone purchases these items using your link then you make money. Tutorials: Teaching someone to use a product is also a great opportunity to market affiliate products. Tutorials can be in the form of blog posts or videos. If a person is viewing your tutorial it is safe to say that they are interested in the product. Have you noticed that most tutorials that you watch on YouTube contain links to the product being reviewed and related products? These links are normally affiliate links that allow the person that created the tutorial the ability to make money as an affiliate of the product. Reviews: Reviews are another great way to promote affiliate products. Like tutorials, reviews can be in the form of a blog post or a video. In a review, you talk about one product and you give your honest opinion of that product. 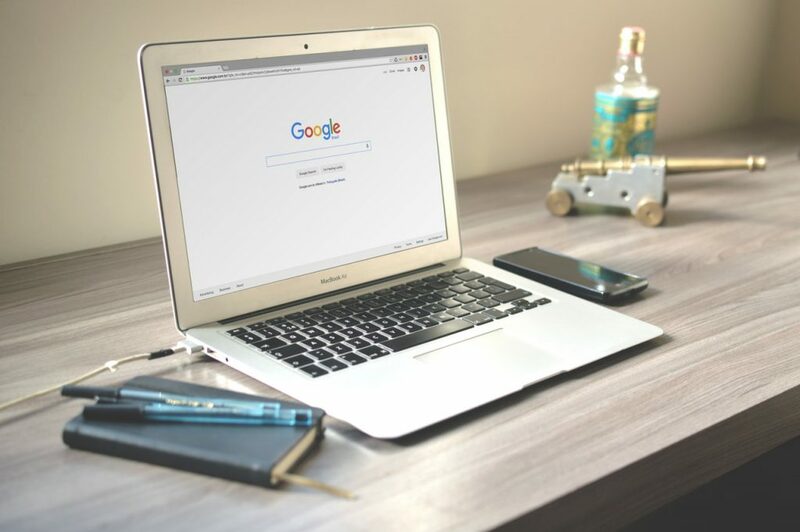 If you liked the product and gave it a favorable review, it is safe to say that some of your readers or viewers might want to purchase that product as well. By including your affiliate link in your review, you can make money each time someone makes a purchase. Add to Email Marketing: If you have a blog you should definitely have an email list. Your email list is full of people who you know are interested in your blog niche. This also means that they are interested in products related to your niche. Your email list broadcasts are a prime location to market your affiliate products. Let’s say your blog niche is gardening. 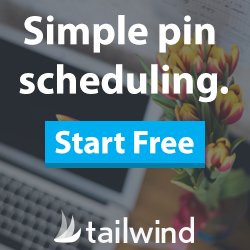 Because you have a well-attended email list you send them an email once a week. In your weekly email, you can include your weekly top pick gardening tool. You can use an affiliate link to this gardening tool and when someone purchases the tool you make money. Affiliate programs come in many shapes and sizes. It is important to know some of the features of affiliate programs to help you choose the program that is right for you. Commission Structure – Affiliate programs payout using various structures. Some pay a flat rate for each sell while others pay a percentage. You will also run into programs that pay on a tiered structure. In this structure, you might receive a certain commission for the first 5 units sold and then another commission for any sells after that. Commission Percentage – The commission percentage is the percentage of the selling price that will be paid to you on each sell. This will vary depending on the program. When considering the commission percentage it is important to note both the percentage and the selling price of the product. 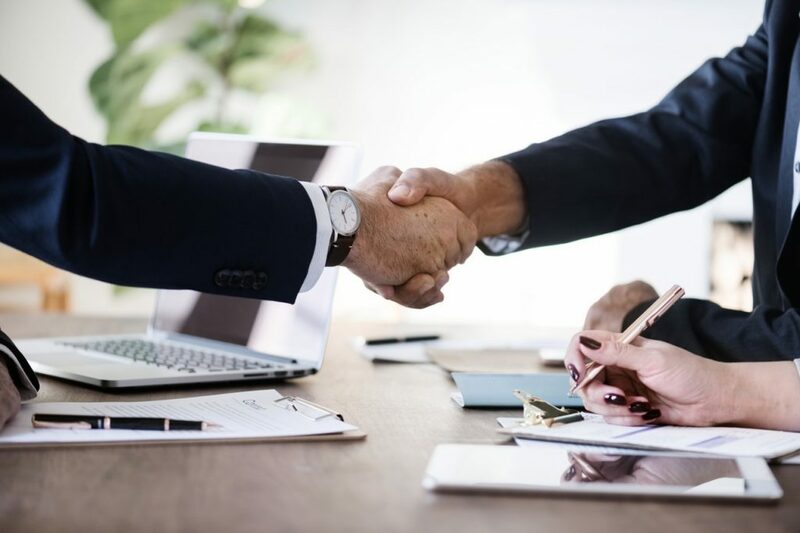 Second Tier Commissions – Second tier commissions are when you are paid for the sale of the initial product and you also receive a commission on any sales from people you have referred that become affiliates. Cookie Duration – A cookie is a piece of code that is saved to a browser that saves certain information about the visitor. Affiliate programs use these cookies to track visitors who have clicked on your affiliate link. Cookie duration is the amount of time the cookie is stored on the visitor’s browser. Cookie duration is important because people may not purchase a product the first time they click on the link. The cookie will ensure that even if the visitor leaves the product site and comes back at a later time you will still be credited for the sale. The longer the cookie duration, the better it is for you as the affiliate. There are tons of affiliate products just floating around and waiting for you to come sell them. No matter what blog niche you are in there is an affiliate product out there for you. There are even affiliate programs that pay up to $8000 per sale! Affiliate networks are comprised of a large number of affiliate marketing companies. These are great places to find products as they present you with a wide range of options in one place. Some of the best affiliate programs for beginners are those for products that you use on a daily basis to run your blog. These programs are normally easy to qualify for as you are already a customer utilizing the product. It also helps that you can give an honest review or write a detailed tutorial because it is a product that you use. SiteGround – Siteground is my web hosting company. They pay $50+ for each sale! 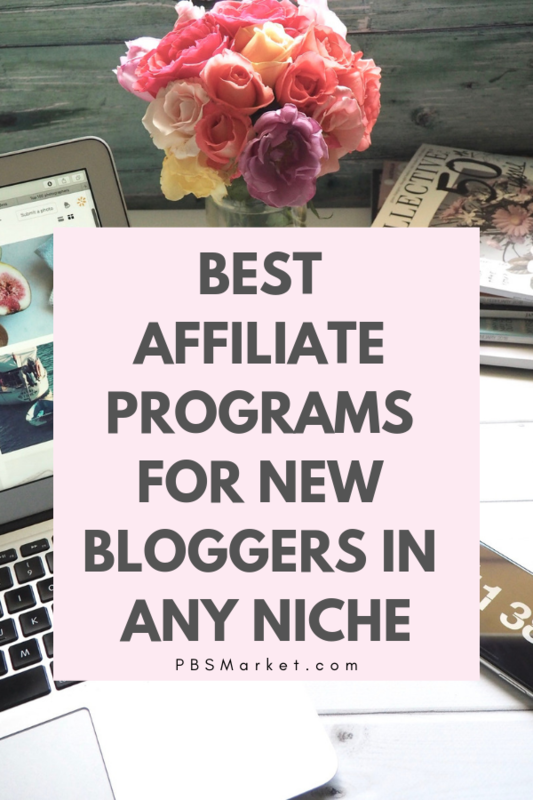 Here is a listing of affiliate programs that are perfect for bloggers. They are designed to work for bloggers in any niche. I’ve saved one of the best and most popular affiliate programs or last. Amazon! Amazon is a very easy affiliate program to join and they literally have a product for everyone. The Amazon affiliate program allows you to make a commission on a wide variety of products that are sold on the Amazon site. The best part of being an Amazon affiliate is that you are selling products from a brand that people know and trust. Once you join an affiliate program you will be provided an affiliate link. Your affiliate link is a URL or web address that points to the product you are selling. Affiliate links are coded in a special way so that credit can be given to the person who owns the link. Your affiliate link is your key to making commissions from the affiliate products that you promote. Affiliate links can be placed on your site in various formats. Here are a few examples. There are examples of each of these types of affiliate links in this blog post. Where you place your affiliate links is a very important aspect of your affiliate marketing strategy. 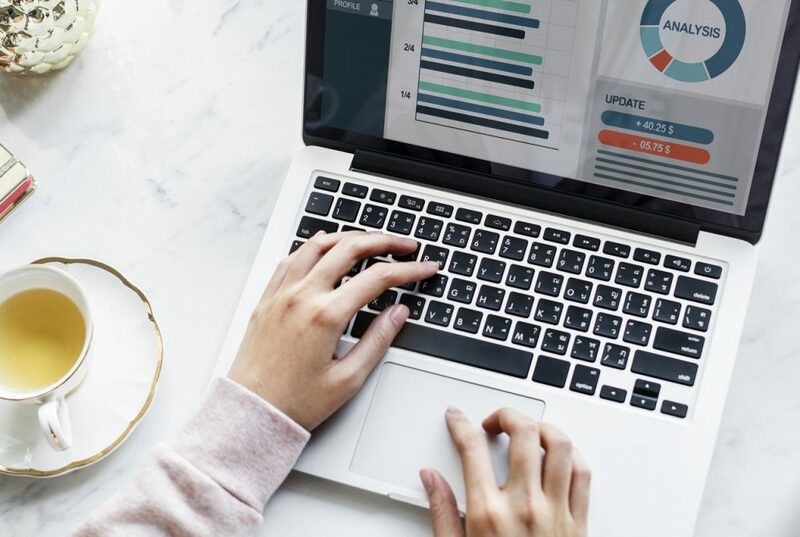 Marketers have spent large amounts of time and energy trying to determine the best places to include their affiliate links to yield the highest conversions. Note: A conversion is when a visitor completes an action that you want them to complete. In this case, you want your visitors to click on your affiliate link and make a purchase. Place your most important links toward the beginning of your post. Now that you know all about Affiliate Marketing it is time to put what you have learned in action. The action plan below assumes you have already set up your blog. If you have not set up your blog use the button below to have this post emailed to you as a pdf. This will allow you to stop here and sign up for my free email course that will help you set up your blog in as little as 5 days. In this course, I will guide you through choosing your blog topic all the way through writing your first post. Step 1: Sign up for one or more of the affiliate networks/programs/products described above. Step 2: Choose 5 of your favorite products and write a blog post that reviews each product. Be sure to choose a product that falls into your blog niche. Focus on one affiliate product in each post, unless your post covers a topic that would allow you to promote a range of products. For example: In this blog post I talk about how the Amazon Alexa can improve your life. Amazon has multiple versions of its Echo product so you will notice that I have included Amazon links to each of those products. This is anhttps://healthywealthyskinny.com/ways-alexa-can-make-life-easier/ example of having multiple affiliate links to a group of related products. Step 4: After each post is published, promote it on your various social media channels to bring traffic to the post. Step 5: Track your conversions for each affiliate link. Some affiliate programs will provide reporting which will show you your conversions. If this is not available you can use link tracking software like ClickMagick. Step 6: If your conversions are not as good as you would like them to be, make changes to your affiliate links and track for improvements. Do you have any great affiliate programs to share or affiliate marketing tips? Leave a comment below. Blogging takes a community and I would love for you to share. So glad I came across this! I was trying to look up info about affiliate links just yesterday. Great post. And it is very informational for me. With all of this you have to have your own domain correct? Like, no WordPress.com? Thanks so much! Yes you are correct. WordPress.com doesn’t allow you to do Affiliate Marketing. 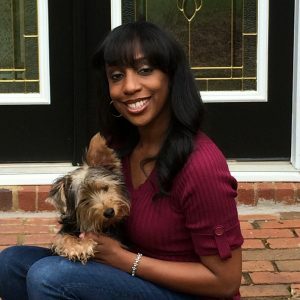 If you’re ready to make the switch I have some great tutorials on PBS Market that will show you how to setup your own self hosted WordPress blog as well has how to connect your own domain name. This is such a great guide! Thanks Nicole! I’m glad you found it helpful. Go for it! You’ll get better and better at monetizing strategies as you move forward. I learn something new everyday. ? Hey Jaspreet! I’m super excited that the action plan was able to help you move forward. Get those affiliate links added. I’d love to check it out once you’re done. This is SUPER helpful! I’m hoping to monetize my blog in the next few months and this was such a wealth of information! Bookmarking so I can come back to it when I’m ready! Thanks Elaine! I’ll keep the post updated so it always has the best affiliate programs listed. ? I am a new blogger and so overwhelmed by all the affiliate marketing strategies out there. Right now I am just trying to gain a genuine following, and then I hope to focus more on monetization once I feel grounded. I wanted to monetize right away, but learning the ins and outs of blogging is challenging! Saving this post for later! I completely understand. Blogging can be a lot. Hang in there and take your time. I’ve just recently started to dip my toes into the world of monetisation but I’m hoping that maybe I can make a few pennies here and there. Thanks for this post, it has some great tips! You’re welcome Kirsty! I’m sure you’ll do great! I have just started to monetize my blog this year. I found all of these tips great and I plan to pin them for further reference. 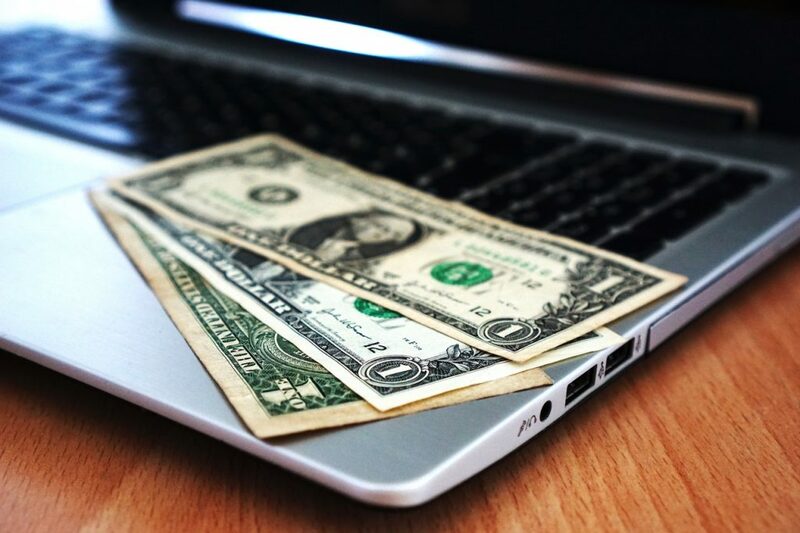 These are great tips for monetizing with affiliate marketing! I have dabbled in it here and there but haven’t given it the attention I wish I could yet! Thanks for the info! Thanks Katie! Jump all in. I’m sure you’ll do great! Thanks for laying it all out there and sharing exactly what you use. Too many times bloggers blogging about how to blog can be vague and come across like they are only trying to make a sale! You are very welcome Cass! And I know exactly what you mean about vague attempts and providing help. These are great tips for monetizing with affiliate marketing! This was actually helpful! Thank you! Very clear cut, easy to comprehend guide. Beautiful blogsite you have as well! Great job! Affiliate marketing is one of my favorite ways to monetize. Thanks Emily! I’m super into affiliate marketing as well. It is one of the best ways to monetize when you are just starting out. There are great affiliate programs available for every niche. Affiliate marketing is quite effective and if your blog’s traffic is good then you can easily send traffic to your affiliate websites which if get converted can result in a good amount of commission for you. I have myself worked in affiliate marketing programs and I must say that if you can generate traffic to your website then affiliate marketing can work as a gem for you. I'm Shawn... founder of PBS Market. I'm an entrepreneur and techie at heart. I enjoy teaching others how to tackle technical tasks by making them simple to understand. To learn more about me, check out my About Me page.